An anniversary passed a few weeks ago that I didn't realize at the time. 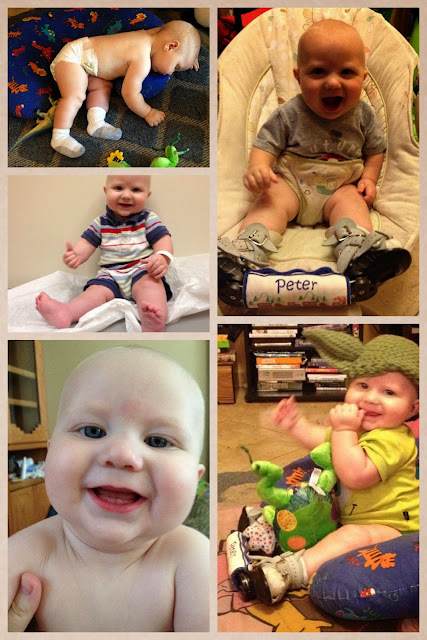 May 17 was the one year anniversary of the day Peter's bilateral clubfoot was detected via ultrasound. If I could have known then what I know now, I would not have cried myself to sleep that night. The first few months were the hardest, but we have come such a long way in such a short time. Today, Peter is almost 8 months old. He wears the boots & bar for 12 hours at night, and that's it. 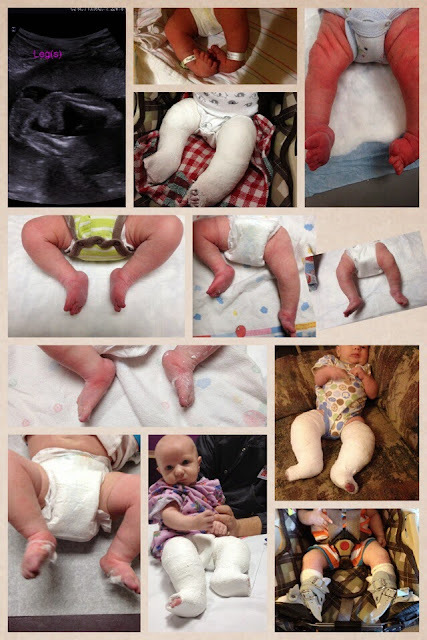 No one even knows he has clubfoot unless I tell them. To any mom whose child has been newly diagnosed with clubfoot and who might be reading this, I want to tell you something: it's going to be okay. It really is. The casting will be tough, the tenotomy surgery is scary as hell, and adjusting to the boots and bar will take some work, but it's going to go by so fast you won't even realize it. You'll blink, and all of a sudden your baby will only be wearing the boots and bar at night and it will just be another part of a typical bedtime routine. And there might be relapses, maybe even other surgeries down the road, but you will get through it because you are strong, and so is your child. 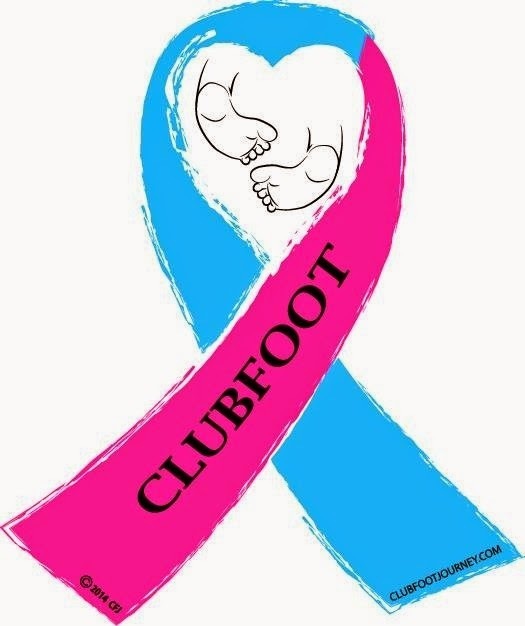 Ponseti International Association (PIA) designated June 3rd as World Clubfoot Day. The date was chosen to commemorate the birthdate of Dr. Ignacio Ponseti, (1914-2009) the developer of the Ponseti Method to treat clubfoot. The goal of World Clubfoot Day is to raise awareness about clubfoot disability and its prevention using the Ponseti Method, a non-surgical treatment that includes gentle manipulation of the feet followed by the application of plaster casts and temporary bracing.